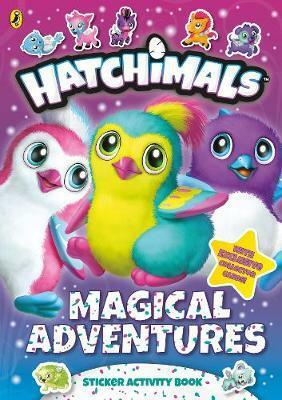 13.16% of people buy Hatchimals: Magical Adventures Sticker Activity Book and Hatchimals: The Official Colleggtor's Guide ~ Paperback / softback ~ Hatchimals. Welcome to the Hatchimals' world! The Pengualas, Draggles and all their friends are excited for you to join their adventures. Explore their beautiful world, get to know the all-new Colleggtibles and decorate the pages with stickers. This super-fun activity book is packed with puzzles, games and stickers. It even have exclusive collector cards to cut out and keep! The perfect book for Hatchimals. fans!